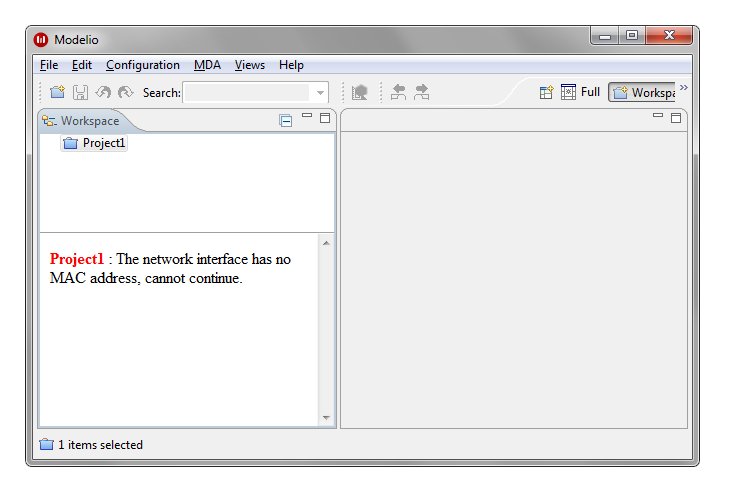 The network interface has no MAC address, cannot continue. A similar problem has already been discussed here . I read the thread but in my case I didn't have a usb broadband modem as my internet connection but it pointed me in the right direction. In my case I had a VPN connection established when starting the application. When I turned it of, the problem went away. I'll mark this thread as solved and close it.